Open April-December 17, 9am-2pm, Tyler St.
We have entered fall in Jefferson County. Our deciduous trees are transforming with the shorter, cooler days, their leaves turning from green to warm brown, orange, crimson and yellow. This is our time to savor the remaining tomatoes, peppers, eggplants, summer squash and cucumbers available at our local farmers markets. We are entering the season of leafy greens, winter squash, root vegetables, apples and pears. October is the final month for 2016 Chimacum Farmers Market season. 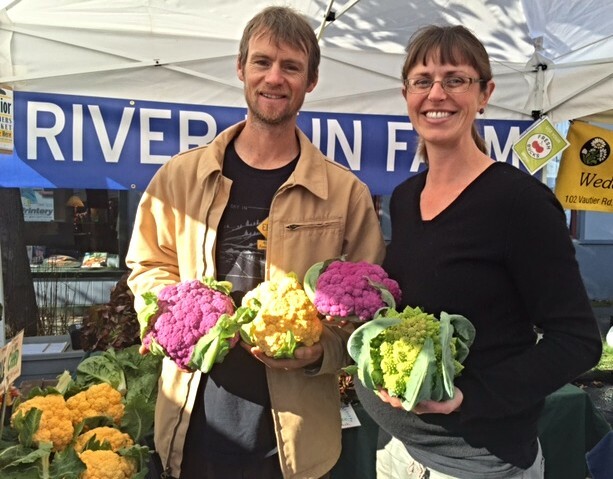 While the Port Townsend Saturday Farmers Market is open until mid-December, the final day of the Chimacum Farmers Market is October 30th. The Chimacum Market closing day will be a spooky one. We will celebrate Halloween with a costume contest and trick or treat with our market vendors for local vegetables. 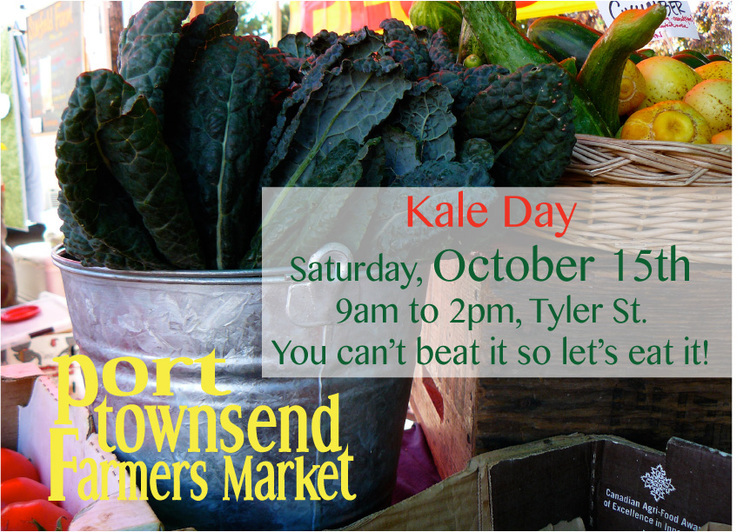 This weekend we have great activities for kids and families at the Port Townsend and Chimacum Farmers Markets. On Saturday the Port Townsend Public Library will host Storytime starting at 10:30am. Following Storytime at 11:30am, local musician and poet, Nan Toby Tyrrell, will assist children with poetry writing. 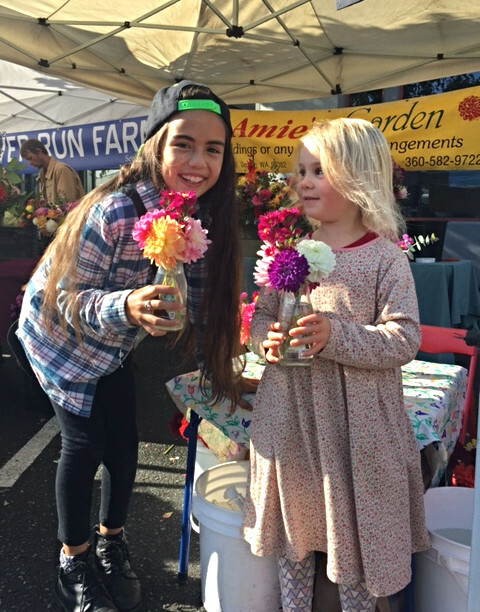 On Sunday, the Chimacum Farmers Market is hosting the last Kids’ Day this season. Kids, families and kids at heart, you don’t want to miss this opportunity to play, get your face painted, hear stories, listen to live music by Liv Crecca, take part in Kids' Open Mic and sit on a Red Dog tractor. Propolis Brewing, established in 2012, is part of a renaissance in beer making. In a changing world where “craft brewing” can be an ambiguous term used by larger national labels to describe their mass-produced brews, Propolis co-owners, Piper Corbett and Robert Horner, are getting back to the roots of brewing. This Port Townsend couple is passionate about quality food, drink and community, all of which they are working to foster through their business. Robert, originally from England, started brewing for himself over a decade ago to fulfill his own love for great beer. An architect and public artist, Robert was drawn from his home turf in the Midwest to Seattle for work. It was the quality of life and environment that drew him still further northwest to Port Townsend in 2010. Piper explained that many “craft brewers” have gone the way of former small organic and specialty food companies. They have been bought up by mega food businesses, which benefit from the positive reputations the small companies have earned while sourcing their ingredients as cheaply as possible. These businesses may brew in the Pacific Northwest but are owned by national and international companies with profits leaving the state and, sometime, even the country. While larger label "craft breweries" are force carbonating their beers for quick turn around, Propolis beers are barrel-aged for two months to two years to achieve carbonation and their complex and delicate flavors. Propolis is drawing from the long history of Belgian and English beer as food and medicine. Old-world ales were referred to as “gruits” and were created from various malted grains and bittering herbs. They were valued for their anti-septic, anti-bacterial and anti-viral properties. Like the beers of old, Propolis beers contain locally foraged medicinal herbs, berries and 100% Certified Organic Pacific Northwest malted barley and wheat, as well as organically sourced spelt, oats and rye. Beers on tap this week at the Propolis Taproom incorporate locally foraged spruce tips, lemon balm, chamomile, lavender, sage and yarrow. Propolis' unique approach to beer making is gaining notoriety regional as well as nationally. This month they were recognized as one of nine up-and-coming beer pioneers to watch by Zagat magazine. They received gold and silver Washington Beer Awards in 2015 in the American-Style Brett Beer category and bronze for Herbal and Spiced Beer. Their Beltane beer won gold in the American-Style Brett Beer category in the 2014 Great American Beer Festival. In addition to bringing us award winning beer, Piper and Robertjoined their artistic talents this past fall to create a taproom that reflects their vision for inviting and fostering community. This space incorporates their love for the natural world with an abundance of plants. Fittingly, it is also where they now brew their ales with ingredients that celebrate our local environment. Located on Jefferson Street by the Port Townsend Boat Haven, the Propolis Taproom is open Wednesday through Sunday. Visit their website for their hours of operation. They also offer their space for private events by reservation. I asked Robert and Piper to recommend a beer to go with the roasted vegetable recipe included in this newsletter. They recommended their Granum five-grain Saison Brett. 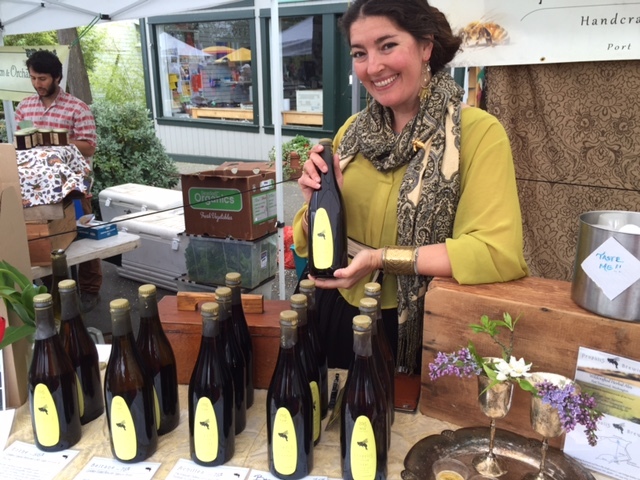 Find Propolis at the Port Townsend Saturday Farmers Market for a sample of their ale, visit their taproom or look for them at the Ballard Farmers Market. Learn more about Propolis at their website. will be bringing lots of green beans, by the pound and by the case, tomatoes, carrots, onions and salads along with beautiful fall bouquets and winter squash. We will offer tastes of our salad dressings, pesto, fresh salsas, and other items. is bringing a full spectrum of winter squash again this week. We are also adding some new fall friends to our weekend roster: purple radishes, watermelon radishes, celeriac, russet potatoes, and green tomatoes. Cauliflower is in abundance and will be on sale again. Fall is in the air! Time to make some soup, stock or stew!